Behavioral Science Impact Social Innovation | Sarder TV – Learning Ideas. You are at:Home»All Categories»Management & Strategy»How does behavioral science impact social innovation? How does behavioral science impact social innovation? 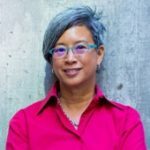 Ann Mei Chang discusses how behavioral science impacts the design of social innovation solutions. She explains that innovation requires an interdisciplinary approach based on how people behave in real life. Previous VideoCan you provide an example of the importance of using behavioral science in innovative solutions? Next Video How is data collection helping with social innovation?